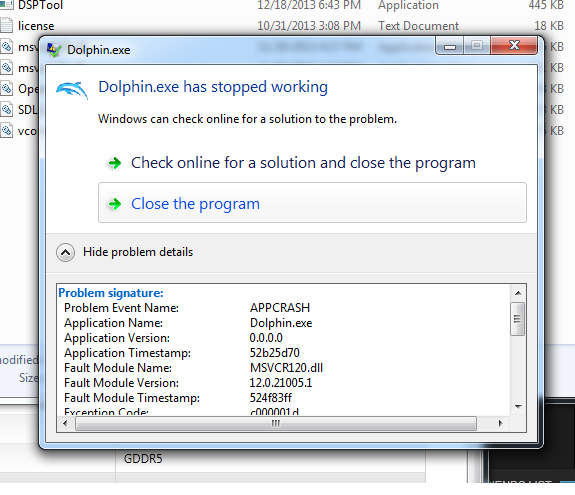 Hey sorry im new here and as the title shows i cant open up my dolphin! does anyone have an idea of whats wrong? your help is appreciated! That's a pretty old version. Have you tried the latest one? Old builds aren't supported on the forum. (04-23-2015, 01:25 PM)Aleron Ives Wrote: That's a pretty old version. Have you tried the latest one? Old builds aren't supported on the forum. I'm pretty sure even the most dedicated 652 fans have started to move away from it now. It's totally obsolete, and is jam-packed with known bugs and issues which are fixed in the latest master build.